I hadn’t thought about it for more than a nanosecond since a brief flurry of hype in 2008 until an email from an American friend reminded me about SHM-CD. What? You may well ask! SHM-CD was supposed to be an improved type of CD comparable to SA-CDs, but unlike that cult format, it would be playable on a normal CD player. (I should qualify that: many SA-CDs are playable on a conventional CD player, but they won’t reveal their extra sonic lustre unless played on a dedicated SA-CD player). Anyway, my American friend (who was announcing that he’s capped a limit on his album collection at a mere 25,000!) spoke about his habit of buying Japanese pressings of SA-CDs and SHM-CDs. “The high quality SHM-CD (Super High Material CD) format features enhanced audio quality through the use of a special polycarbonate plastic. Using a process developed by JVC and Universal Music Japan discovered through the joint companies’ research into LCD display manufacturing, SHM-CDs feature improved transparency on the data side of the disc, allowing for more accurate reading of CD data by the CD player laser head. SHM-CD format CDs are fully compatible with standard CD players”. 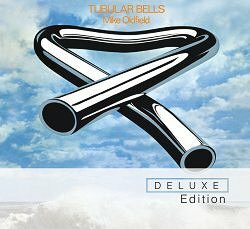 A quick gander at that mailorder site reveals that such titles as the Stones’ Exile On Main Street, Mike Oldfield’s Tubular Bells, together with a welter (or should I say a brace) of releases by the likes of The Scorpions, Black Sabbath and James Taylor are all available on SHM-CD. And yet, I’ve not once seen a SHM-CD in a New Zealand record store. The question has to be asked: why not? Surely there must be a market for those who would like superior quality audio from their CDs, especially if it doesn’t involve forking out for an expensive SA-CD player. Any record company representatives out there who may be reading this, please, give me an answer on this pressing (ha!) topic. Wanting superior quality from std CD? There’s lots of formats like “Gold”, “K2HD”, “XtractHD” and “XRCD2” and “XRCD24”. I’ve used the XRCD format (also a JVC development). Limited releases and you have to import them but they are certainly superior sounding than your std CD. The important part of this process is access to original analogue masters and the care taken in the digital transfer and manufacturing. Not like the usual assembly line approach of most mastering and manufacturing which results in a product which, to put it politely, “could be better”. Unless the first source of the music is done right, no matter what the CD is made up of, or how it is manufactured, the crap in, crap out theory stands.